Efficiency and productivity: these characteristics are not always present in all meetings. Managers and team members can meet and discuss things, without achieving anything productive. Many meetings, whether they are face-to-face or online meeting, turn out to be just a matter of formality or worse, a waste of time. 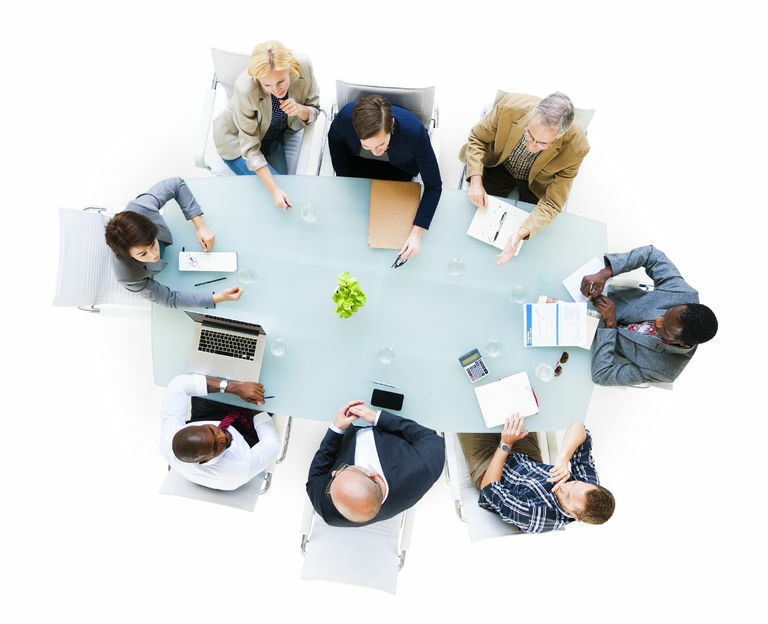 Consider the following tips to conduct meaningful and efficient meetings. Ascertain that it is really necessary to hold a meeting. It’s difficult to make meetings more productive when there’s no clear and sensible agenda, to begin with. There are many instances when the sole purpose of a meeting is simply to provide information when interaction or responses are not needed. Why waste time bringing everyone together in the same room when opposition, discussions, or reactions from the meeting attendants are not required? In such cases, it would be better to just send the details through email or post them on a bulletin board. This is not to disregard the fact that studies show that face-to-face meetings are better than email or indirect communication. It’s just a matter of being efficient. Routine meetings held just for the sake of having regular meetings could use some rethinking. They may be helpful in establishing camaraderie and habits that promote productivity, but it’s worth ditching them if they don’t appear to create obvious benefits. Personal meetings are preferable, but this does not mean that doing it online cannot be productive. There are many cases when web-based sessions are the better option. Some attendees of the meeting may not be able to come on time. Others, whose inputs are deemed vital, may find it hard to be physically present in the meeting but they can do so through the Internet. This shouldn’t be difficult to do. Many software tools can be used to facilitate productive online meetings. You can even find web-based options that entail minimal setup procedures and no longer require any installation. Companies with telecommuting employees can prove that it is possible to efficiently manage home-based workers with minimal personal interaction, with almost all meetings conducted online. Be mindful of the nature of online meetings, though. Distractions are a major issue. It’s easy to lose focus while in a web-based conference. It’s difficult to control what the participants are doing. The moderator should have the knack for keeping everyone attentive to the discussions. Consider getting advice or insights from those who have the experience in successfully managing work from home employees. They are arguably the best when it comes to doing productive web-based meetings and collaborative activities. Prepare a detailed agenda along with a list of meeting objectives. A meeting agenda should comprehensively cover everything that needs to be tackled in the meeting. To do this, it is necessary to obtain inputs from different departments or section heads. It’s virtually impossible for the person calling for the meeting to be knowledgeable in all aspects of the business operation, hence seeking aid for information and insight gathering is a must. Not all managers or CEOs are blessed with the savviness in organizing thoughts on the fly. As such, it is advisable to carefully plan a meeting through the preparation of a detailed agenda. This may require ample time, especially when there are several complex subjects to be discussed. Even in the case of emergency meetings or those called in short notice, having a detailed agenda is required. It is important to list everything that needs addressing to avoid forgetting essential points of discussion. The lack of a well-organized agenda is arguably the main reason why many fail to make meetings more productive. In addition to having an agenda, it’s advisable to set objectives. Decide what you want to happen after the meeting. For example, if part of your agenda is to discuss diminishing sales, it shouldn’t mean that you are only going to discuss sales. What do you want to achieve in having the discussion? The answer to this question is the corresponding objective. It could be to find the cause of the falling sales numbers and the formulation of viable solutions. You can only conclude that the meeting has been successful and productive once you attain the objectives you set. Require everyone to prepare beforehand reports or documents that may be needed in the meeting. As much as possible, it should not be necessary to set another meeting because reports and documents have yet to be made. Everything needed to discuss certain subjects should have been gathered prior to the meeting date. Financial statements, feasibility studies, and other references to be used in the discussions should have already been communicated to the meeting participants along with the meeting agenda. The expected attendees need to properly informed of what is expected of them. It wouldn’t hurt sending reminders. Provide sufficient visual aids but don’t anchor meetings on them entirely. The presentation of facts and figures can easily become boring. Visual aids are advisable when presenting or discussing them. However, it’s recommended not to rely on these visual tools too much. Meeting participants should not end up fixating their eyes on a screen or projected images on the wall, paying no attention to the person speaking or making the presentation. There’s a reason why Amazon’s Jeff Bezos banned PowerPoint at their meetings. Not many may agree that “PowerPoint is easy for the presenter but hard for the audience,” but there’s a point in minimizing dependence on technology and promoting connection with those who are talking in a meeting. People-to-people interaction is worth nurturing. It pays to hone more effective communication skills. It makes sense not allowing technology to make things more impersonal. Bullet points and images are great for summarizing thoughts, but they should not replace a well-thought out narrative, explanation, or discussion. For Amazon, bullet points are not the best way to share ideas. There’s a need to master the art of speaking simply but thinking complexly. Everybody should learn how to present and explain ideas concisely and in the most understandable ways possible. At the same time, those involved in the discussions should be more attentive and sophisticated with their comprehension skills, instead of being too dependent on oversimplified bullet points and visual aids. Don’t allow meeting participants to open their laptops or mobile devices unnecessarily. Meetings are intended for an interactive discussion, not for those involved to work on their laptops, tablets, or smartphones. It’s not only disrespectful having an audience whose eyes are fixed on their laptop screens; it’s also counter-productive. If it were okay holding a “meeting” while everyone is working on their gadgets, it would be better to just hold a conference over the internet. What’s the use of a personal meeting when people don’t meet eye-to-eye? Why call personnel from the accounting department if the agenda is only about design changes sought by the client? Some employees, supervisors, or managers may feel left out when they are not included in the discussions, but why worry over such a petty issue? Often, meetings are more productive when there are fewer people involved. The likelihood of everyone participating in the discussions is usually inversely proportional to the number of attendees in a meeting. An intimate set-up is more likely to yield productive meetings. In instances when the agenda covers a wide range of topics, it helps “siloing” the discussions. Group items on the agenda that are exclusive to specific people and let the sub-groups meet separately. To clarify, this is not to promote the frowned upon siloing mentality in business. The point here is specifically about having meetings in smaller groups (when applicable) to maintain focus and ensure productivity. Start on time and try to have an expected end time. Time management is vital in making meetings more productive. Everybody needs to learn how to stick to schedules. Avoid making exceptions. Everyone should be in the meeting room (physical or virtual) at the appointed time. It’s not a bad idea imposing penalties for tardiness and absence. On the other hand, set a target end time for the meeting. This is recommended so everyone will strive to finish everything that needs to be tackled as soon as possible. Not minding the time does not promote productivity. It opens opportunities for delays or activities that are not related to the meeting’s objectives. As much as possible, create a timeline for the different topics to be addressed. Maintaining focus is one of the top business management advice from global business leaders you should take seriously. It that applies to various aspects of business, from the implementation of plans to marketing and meetings. Eliminate the things that can distract attention to make meetings more productive. Hold meetings in places with privacy unless there are compelling reasons to do it in restaurants or public areas. In some cases, it may be sensible asking everyone to turn their phones off or at least put them in silent mode. When it comes to the agenda, make sure that only the topics listed are covered. If there are new concerns raised, it is advisable to schedule them for another round of discussions. The goal should be to cover the items on the agenda within the allotted time frame. Entertaining new points will skew priorities and mess up the meeting’s timeline. It can divert attention away from the more significant concerns. Securely maintain meeting minutes and end the meeting with a clear resolution of issues and assignment of tasks (if applicable). It’s important to have a proper record of meetings because these serve as the best references in future meetings. They make it possible to keep track of essential details such as the attendance, topics discussed, votes, decisions or resolutions made, topics that should be tackled in the future, and assignments. It would be advantageous having these minutes stored on the cloud for easy access from anywhere. In addition to having meeting minutes, make sure that all objectives are met. If there are loose ends, take note of them so they can be addressed later on. Moreover, if there are action points or assignments after the meeting, it’s imperative to clearly delegate them. Some may perceive meetings as a break away from work, so they don’t take them seriously. This shouldn’t be the case. Having efficient and productive meetings should be everybody’s goal.